Margaret Foster is a classical harpist from the Traverse City Michigan area. Margaret began her musical studies at the age of seven with Joan Holland, current harp professor at Interlochen Center for the Arts and the University of Michigan. In 2015, Margaret attended Interlochen Center for the Arts for her Junior and Senior years of highschool, having previously been homeschooled. After graduating with High Honors from Interlochen Arts Academy, Margaret moved to Bloomington Indiana, where she is currently a student at Indiana University’s Jacobs School of Music under the instruction of Elzbieta Szmyt. Playing the harp has been my passion for 10 years. I’ve been invited to the Honors Ensemble Program at the Connecticut Valley Harp Intensive Summer Camp for 3 years. I performed with the Central Connecticut State University Orchestra, and I premiered a new harp composition at the Hartt School of Music. I was the top ranking scorer of Music Makers Academy’s Associated Board of the Royal School of Music practical exams in 2013. I’m a competitive Irish dancer, and graduated as 8th grade valedictorian. I’m grateful to my harp teacher Susan Knapp Thomas for constantly helping me along my journey. 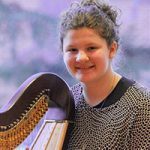 Janice was born in San Francisco in 2005 and began playing the harp at the age of five, and had the privilege of learning under the instruction of Linda Wood Rollo in the United States. In 2012, she returned to Korea. 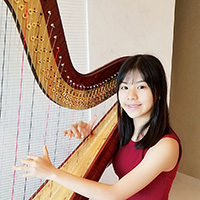 Janice has won numerous international prizes including the 3rd place at the National Harp Competition in the American Harp Society Junior Division 2015, 2nd place at SOKA Nippon international harp competition 2016, 3rd place at Hungary Szeged international harp competition 2016, 1st place at Felix Godefroid international harp competition 2017. Janice performed at “Stars of Tomorrow” in 2016 USA international harp competition. Originally from Greeley, Colorado, Kaitlin Miller was a finalist at the 2017 American Harp Society National Competition and has performed various solo and ensemble works throughout Texas and Colorado. She began her harp studies with Dr. Kathy Bundock Moore and is currently completing her Bachelors in Harp Performance under the instruction of Dr. Jaymee Haefner at the University of North Texas. When not making music, Ms. Miller enjoys visiting local coffee shops and spending time with her family in the Rocky Mountains. 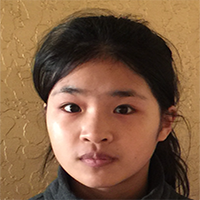 Renée Murphy is a homeschooled eleventh grader who resides in Bloomington, Indiana. She began studying the harp at age seven. Her past teachers include Professor Alicia McQuay and Professor Elżbieta Szmyt, and currently Professor Florence Sitruk. 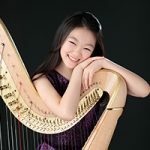 Renée has won several harp prizes, and she was featured in the Focus on Youth Concert Series of the 13th World Harp Congress in Hong Kong and in the 9th USA International Harp Competition Stars of Tomorrow concert. Renée is the second oldest of six children and enjoys performing chamber music with her family. She also reads avidly and enjoys learning about Japanese culture. 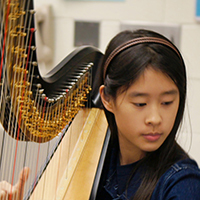 Danielle Nam, age 16, has studied the harp for 10 years with Sonya Yu and Linda Wood Rollo. 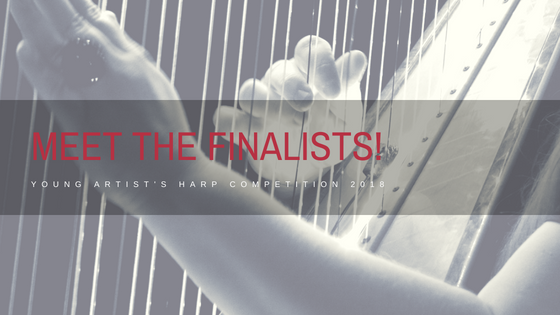 Danielle won 2nd at the American Harp Society’s 2017 national competition. 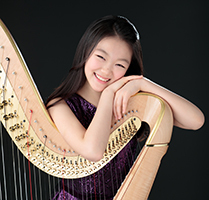 She qualified as a 2018 National YoungArts Foundation Merit winner, and was selected to represent the USA in the Focus on Youth program at the 2017 World Harp Congress in Hong Kong. 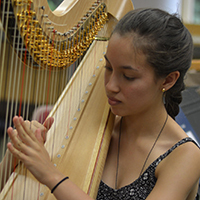 Danielle has been the principal harpist with the California Youth Symphony since 2015, and was also selected for the All-National High School Honor Band in 2016. Danielle plays in the hospice unit at the Veterans Affairs hospital every Saturday. 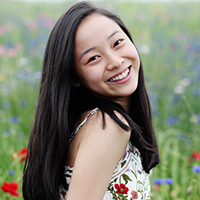 Vivian Tang is a recently graduated senior from Boulder, Colorado who will attend Stanford University in the fall. 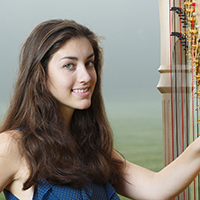 She currently studies with Dr. AnnMarie Liss, whom she has studied with since she began harp three years ago. 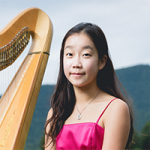 Vivian was awarded 1st prize at the 2017 American Harp Society National Competition, Intermediate II Division, and is a National YoungArts winner and a NPR’s From The Top finalist. Additionally, Vivian has attended Boston University Tanglewood Institute and has appeared as a featured performer on Colorado Public Radio: Classical. In her free time, Vivian enjoys studying Classics, figure skating, and taking pictures of her pet rabbit. Claire Thai is an 18-year-old from Tucson, Arizona who began study of the harp at age 5. 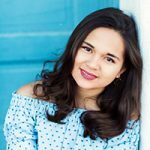 Her most recent successes include 1st place at the 2017 International Portuguese Harp Competition and performance at the 2017 World Harp Congress. Her notable performances include the Renie Harp Concerto with the TSO, the Dubois Fantasie with TPYO, the Handel Harp Concerto and Ravel Introduction and Allegro with the Rocky Ridge Orchestra, the Gliere Harp Concerto with COT, and the Ginastera Harp Concerto, Mov. 3, with TSO, SASO, and Phoenix Symphony. She will be attending the Curtis Institute of Music in the fall. 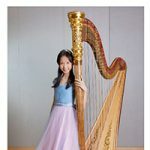 Cheryl Chen is from New Jersey and has been studying harp for 5 years. She is currently taking lessons from Dr. Elaine Christy. Cheryl was a part of the CJMEA’s Symphonic Band in 2018. Previously a member of YOCJ (Youth Orchestra of Central Jersey), Cheryl played a pivotal role as a soloist and orchestral harpist at Kendall Hall at TCNJ and Richardson Auditorium at Princeton University. She was also a finalist of Sinfonietta NOVA 2017-2018 Young Concert Artists Competition. Besides playing the harp, Cheryl enjoys competing with her school’s track and field team, singing, and spending time outdoors. 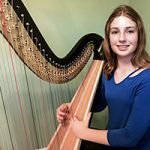 Shaylen Joos, age 14, from New Hampshire, began her harp studies just 3 ½ years ago and has flourished under her teacher, Erica Driscoll. Shaylen has competed and placed in local competitions, has been honored to play with local groups, and perform with the Nashua Chamber Orchestra. Last year she was awarded the Kathrin Fouse Award, a scholarship to attend a summer harp camp, where she also received the Director’s Award. Shaylen enjoys playing her harp for services at her church and for local nursing homes. In her free time, she enjoys spending time outdoors, reading, and drawing. 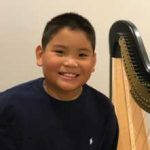 Kan Yuet has awarded with distinction for LTCL Diploma (Licentiate Trinity College London for harp solo recital) at 11 years old. 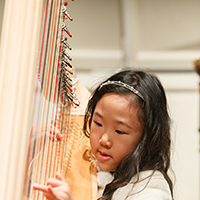 She started her harp journey at the age of 4. 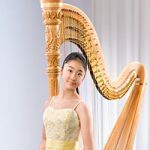 And began to show great musical talent by the age of 5, when she was chosen to perform at the press conference of the forth Hong Kong Harp Festival with the world-renowned Korean harpist Miss Jung Kwak, as the youngest performer among 125 harpists. Yuet has been studying with Miss Lauyee Yeung. 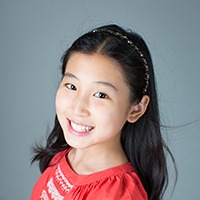 As an outstanding student, she has performed many concerts with her teacher around Hong Kong. Yuet has won numerous international prizes. 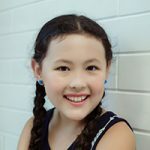 Born in Ann Arbor, Michigan in January 2005, Momoko Komori grew up in Tokyo. She started playing the Irish harp in 2012 and the grand harp in 2014 under the instruction of Ms. Kazuko Shinozaki and Ms. Ayako Shinozaki. She has participated in several competitions: third place in the 17th Osaka international music competition, fifth place in the 28th Japan harp competition, and first place in the 18th Osaka international music competition. She is in 8th grade at Tamagawa Academy, Tokyo and participated in the 71st Midwest Clinic as a harpist in the school wind orchestra. Aimee started learning the harp at age six and currently studies under the tutelage of Ms Lauyee Yeung in Hong Kong . She has participated in numerous public recitals within Asia including being Principal Harp at the ISCMS 10th anniversary gala concert held in the Forbidden City concert hall, Beijing 2017. Her commitment and dedication has already earned her a Harp Diploma with Distinction by age 13, prizes globally including 3rd prize in the 2016 “Under 19” category at the 4th International Harp competition in Szeged, Hungary and most recently 3rd prize at the prestigious 2018 DHF World Harp Competition in Netherlands. I am Judy Liu. I began learning the harp with Lynn Rovin for half a year until I completely changed over to my current teacher Linda Rollo. I am also currently playing with the YES Harp Ensemble and CYS Associate Orchestra. I won first place in the 2016 of the USIMC competition and second place in the American Harp Association competition of 2017.
International Mexican Harp Competition. 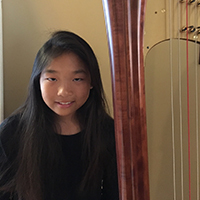 Most recently, Isabella was awarded 1st Prize at the 2017 American Harp Society’s Competition, Junior Division. Isabella loves reading and family time. She will be starting high school in the fall. Adalia is passionate about music. She plays piano, harp, and euphonium, with harp being her primary instrument. She just finished her 6th grade year at Henry Middle School in Cedar Park, TX. She currently is a member of the Austin Youth Orchestra and was 1st chair in the Region 32 Orchestra. Adalia is interested in music therapy and loves to perform. My name is Joshua Ho and I am 11 years old and live in Los Angeles, CA. I have two older twin sisters. I started playing the harp when I was 8 years old. I chose to play the harp because I always admired the shape and size of the instrument. I later realized that the harp can make so many different sounds and I love that. My teacher is Ms. Hee Jin Yoon. She supports me and allows me to play music that fits my personality. She introduced me to the Los Angeles Youth Harp Ensemble and the Southern California School Honors Orchestra. Teresa began harp lessons at age four with Bette Roth. 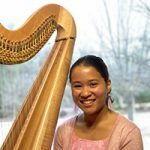 She is a harpist with the Charlotte Junior Youth Orchestra and has participated in the American Harp Society Auditions and Evaluations. She also plays the piano, and she plays both instruments for church services and at local nursing homes. Tessa enjoys playing duets & chamber music with her six siblings. Her other interests include playing softball, knitting and reading. 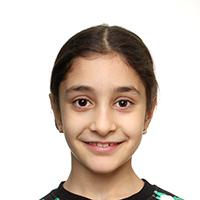 Zulayha Kadieva is 8 years old. She loves the harp very much. She is a 2nd grade student at a music school. She was the third prize winner of the Junior Division the V Mexico International Harp Competition and Festival in 2017. Her teacher is Galina Okoemova. Lydia began her musical pursuits at age 5 with piano. Soon after, she began studying harp. She has been with her current harp teacher, Erin Freund, since 2014. Lydia enjoys performing and competing with both instruments. 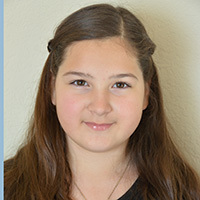 She was selected to participate in an honors recital at Sonatina Festival and the Chicago Harp Society’s Auditions and Evaluations. With her sister, she was a featured composer for the American Harp Society’s Young Composers Project. She is currently the harpist for Westminster Christian String Ensemble and a member of the Chicago Harp Ensemble. Lydia enjoys chess, crafts, and her pet guinea pigs. 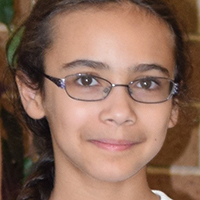 Olivia Lee is an eleven-year-old 5th grader at the Park Street School in Boston, Massachusetts. At the age of 8, she was fascinated by the sound of a harp and started her musical journey with harp. Olivia has been studying with Krysten Keches and playing in a harp ensemble every year since 2015. In addition, she has been a member of The Skating Club of Boston and competed at her second New England Regional Championships as a Juvenile Girl and qualified for the final round. She loves playing squash and traveling with her loving family. Goldie Gao Woods is from Falls Church, VA, and is a rising 6th grader at Haycock Elementary, where she plays the harp in the Chamber Orchestra. 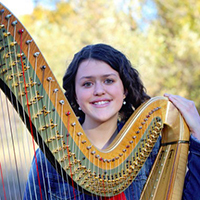 She started studying the harp 3 years ago with Melissa Tardiff Dvorak. Goldie also enjoys tennis and swimming, and plays for the Ignite team at the MOJO Volleyball Academy. Her favorite thing to do is to sit in the garage and watch thunderstorms with Mommy and her dog, Tofu. Mui Wing Yan is a ten-year-old girl, studying at Sacred Heart Canossian School Private Section in Hong Kong. She started playing harp at age 3. She was the champion in the Concours Francais de la Harpe in France in 2013, the 1ère mention à l’unanimité avec les félicitations du jury – Debutant 2. She also got many prizes in various Harp Competitions in Hong Kong. Also, she has been invited to give many public harp performances. She especially enjoys doing volunteer work like giving harp performances for the elderly and coaching sessions for the disabled.